This entry was tagged faces, tongue. Bookmark the permalink. Oh my goodness Jacqui he looks just like you in the top left picture! He is changing so much everyday! Mark agrees! Hard for me to see myself. He is sure changing a lot though. You are right. Every day you notice something new as you probably know with your own. Too fast and amazing at the same time! 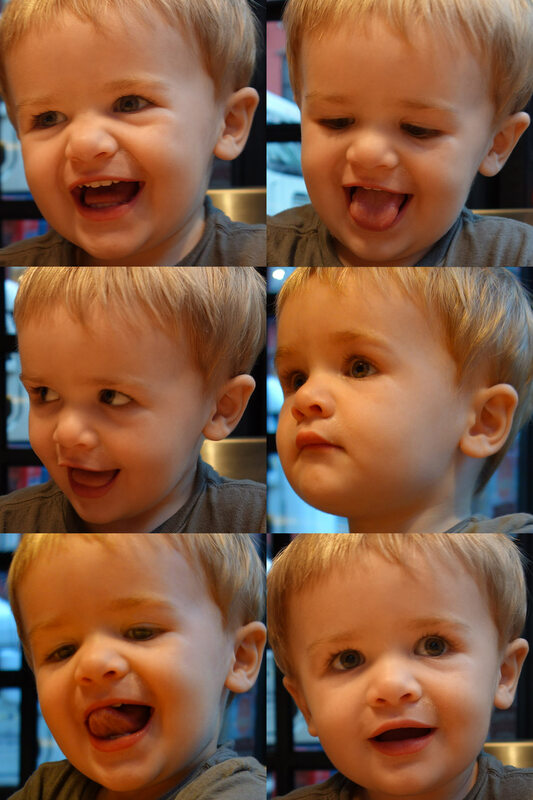 Every picture of Henry is adorable. As I’ve said before, your son is very photogenic. Glad to be on the list to receive all his pictures. He is getting more handsome everyday. Sweet boy. He’s so adorable! After reading Terra’s comment, I looked again and Henry does look like Jacqui in the upper left photo. I see Mark in his little face, too. Great shots, Mark!